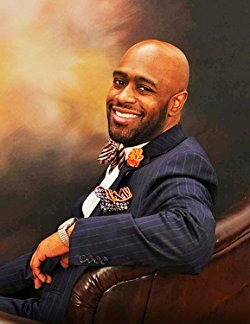 The speaker for the 2018 Committee for Integrity Enhancement Awards Ceremony, held April 9, 2018 at 7:00 p.m. at Northside Middle School auditorium, will be Pastor Andre Mitchell. Pastor Andre Mitchell is a devoted husband and father of three who recognized the call of God upon his life at an early age. He is a gifted speaker with a passion for communicating God’s Word both through writings and oral presentations. Born in 1976 to Christian parents who nurtured him in the ways of the Lord, he attended church with his family regularly and they sent him to Christian school. In 1994, he graduated that school as the first African-American male to do so in the schools’ history. He became a youth pastor at the age of 21 and served in that capacity until on his 35th birthday when he became the senior pastor of Deliverance Temple in Muncie, Indiana. He has numerous achievements but cherishes the title as child of God above them all. He is known to his family for being loving, caring, responsible, and kind. He is known by his congregation as a servant leader, a prayer warrior, an administrator, a relevant teacher, and a fireball preacher. He is known in his community as an author, an activist, a trendsetter, an innovator, and a voice for the underprivileged. His personal life mission is to remain authentic in his Pursuit, Passion, and Portrayal of God.